There have been a lot of questions about how we are dealing with the Idaho Transportation Department’s problematic computer systems at our Driver’s License Office. We don’t have a lot of answers at this point but one thing the ITD announced today was anyone who hasn’t been able to renew their driver’s license or state ID over the past few weeks and has — or will have — expired credentials will be extended until October 31. That means if your license or ID expired anytime after Aug. 20, you’re good until Oct. 31. 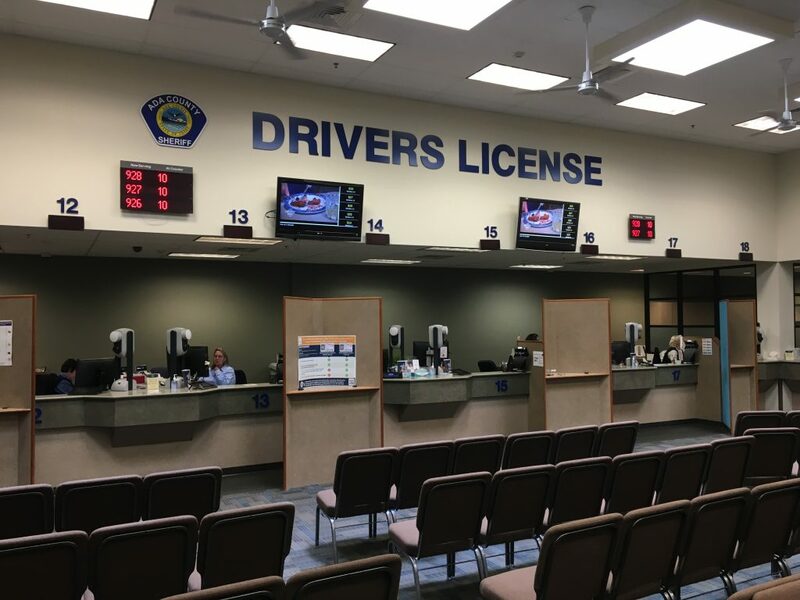 The hope is that the ITD will get their computer systems up and running soon, so those people with recently expired licenses will have time during the next two months to stop by our office at 400 N. Benjamin Lane and renew their credentials before the Oct. 31 deadline. 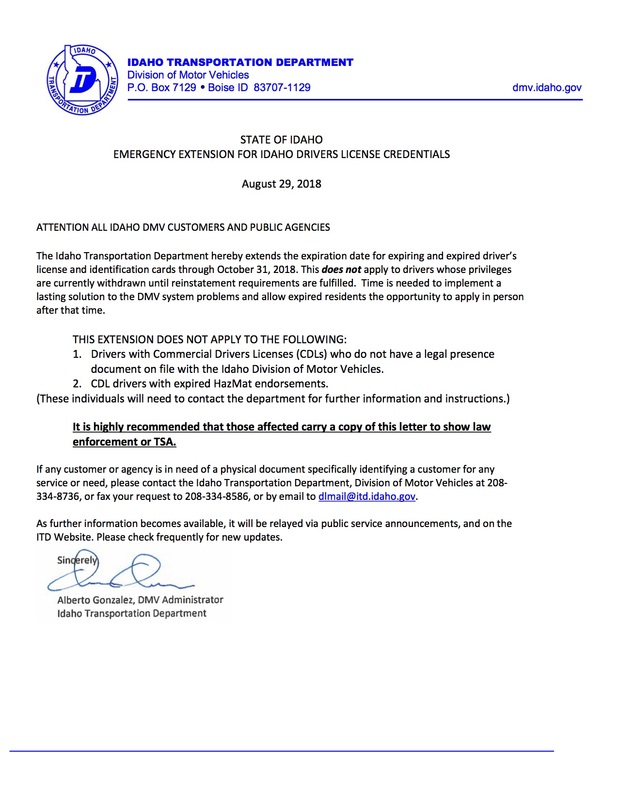 The ITD says people whose license or state ID expired on Aug. 20 or after should print a copy of the letter attached to this post to show to law enforcement or the Transportation Security Administration (TSA) if needed. Of course, expecting the ITD computer system to be working at all at this point is a gamble. Our Driver’s License office has been closed the past two days while the ITD works through computer system and software issues with their vendors. Officials with the ITD say they have created a solution to their computer problems and are set to train our staff – and the staffs of all the other Driver’s License offices in Idaho’s 44 counties — Wednesday afternoon, with the goal of reopening offices across the state Thursday morning. We really hope it works and we can resume operations at our Benjamin Lane office. For now, our staff is answering phones and doing additional training so when the system does come back online, they are ready to go. We understand how frustrated our citizens are. We are frustrated too. We know people are missing work and school and other important life events when they have to wait for so long to get their license or ID renewed. When the ITD system does work, it takes our clerks about six minutes to take care of a customer who needs to renew their driver’s license. Unfortunately, there have been many instances over the past few years when our staff hasn’t been given the opportunity to do their best work because of the problem-ridden ITD computer systems. We really hope the ITD can figure out their issues so we can do what we do best, which is serve our citizens in the best way possible.